﻿Kuchipudi﻿ is a classical dance form that originated in the village of Kuchipudi, in Southern India. For a long time, the art was presented only at temples and that too only for annual festivals of certain temples in Andhra Pradesh. According to tradition, Kuchipudi dance was originally performed only by men and they all belonged to the Brahmin community. These Brahmin families were known popularly as Bhagavathaluof Kuchipudi. 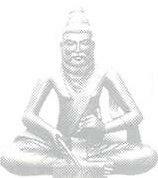 The very first group of Brahmain Bhagavathulu of Kuchipudi was formed in 1502 AD. Their programs were offerings to the deities and they never allowed women in their groups. In the 15th century, a saint called Siddhendra Yogi, codified the movements and enriched the repertoire of the Kuchipudi dance form. Siddhendra Yogi championed the cause of redefining this dance form aiming at eliminating exploitation of women. Kuchipudi was enriched by the advent of the female dancers. Renowned gurus like Vedantam Lakshmi Narayana Sastry, Chinta Krishnamurthy and Tadepalli Perayya, broadened the horizons of the dance form. The reforms brought in has led to the women playing the male parts in this dance form. The Kuchipudi dance begins with worship rituals. A dancer moves about sprinkling holy water, and then incense is burned. Indra-dhvaja (the flagstaff of the god Indra) is planted on the stage to guard the performance against outside interference. Women sing and dance with worship lamps, followed by the worship of Ganesha, the elephant god, who is traditionally petitioned for success before all enterprises. The bhagavatha (stage manager-singer) sings invocations to the goddesses Saraswati (Learning), Lakshmi (Wealth), and Parashakti (Parent Energy), in between chanting drum syllables. Then each principal character introduces himself or herself on the stage with a daru. A daru is a small composition of dance and song specially designed for each character to help him or her reveal his or her identity and also to show the performer's skill in the art. There are nearly 80 darus or dance sequences in the dance drama. Behind a beautiful curtain held by two persons, Satyabhama enters the stage with her back to the audience and her braid hanging from the curtain. Kuchipudi has its own style which is very pleasant to watch and many of the songs are tuned to a special rhythm which is unique and enjoyable. The Kuchipudi dancers are experts in Sattwika Abhinaya, Bhava Abhinaya. The charm of Kuchipudi lies in its fast and intricate footwork, sinuous grace, and the use of the eyes to express moods and feelings. The technique of Kuchipudi closely follows the tenets laid down in the 'Natya Shastra '. There is some mingling of the folk idiom, which makes it highly appealing to a wide spectrum of viewers. The training takes about four to seven years, and includes two sets of adugulu or basic steps, the jatis or combination of movements, and a detailed study of the 'Natyashashtra' (theoretical aspects of dance).